Targeting a Subprime Customer | Sub Prime Auto Leads - Car Sales Leads - Special Finance Car Loan Leads by CyberLead, Inc. If your dealership is looking for ways to expand your business reach, market to a new customer base and increase sales, offering subprime auto financing options to customers with less than perfect credit may be the answer. While traditional financing options only target a percentage of consumers, subprime customers are another section of the population that has until recently, been overlooked for potential sales and financing options. Think about it – if you are only marketing your business to a certain percentage of the public – you are missing out on vital and lucrative sales opportunities. 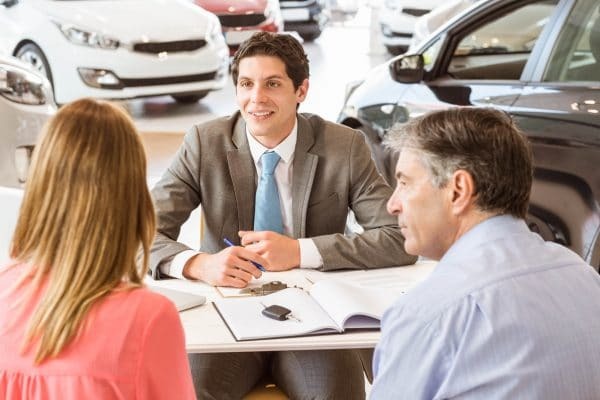 Subprime automobile loans, which charge higher interest rates to consumers that are considered a higher risk, offer a solution to the customer with bad or no credit while also offering a dealership the opportunity to increase sales. According to Money.com, “Subprime auto loans are still on the rise and to ensure that more borrowers can pay off their loans, lenders have also started to offer subprime auto loans with longer repayment periods, which allows for lower monthly payments.” If your dealership has decided to tap into this growing market, attracting this customer base to your business is essential. However, besides traditional marketing techniques like costly print advertising and waiting for customers to walk through the doors of your dealership – how do you target a subprime customer? The option is right at your fingertips – and theirs! After being discouraged and turned down for numerous auto loans in the past, many customers with bad credit turn to the internet to research cars and search for financing options. They are avidly searching and hoping to find an opportunity to finance an automobile. If they find a website that allows them to fill out an online application, they may feel more encouraged to apply than ever before. Websites like CarCredit.com offer these customers a financing opportunity that had been denied to them many times before. Enter SubPrimeAutoLeads.com, which provides these credible subprime auto leads to dealerships throughout the country. CyberLead utilizes a strong network of search engine-optimized domains (like CarCredit.com) that produce valuable subprime customer leads. Through the use of their online immediate application process, subprime customers are vetted and credible leads are sent directly to a local car dealership. The dealers get the lead and then have the opportunity to close the sale. Through SubprimeAutoLeads.com and Cyberlead, Inc., dealers can take advantage of online lead generation programs that are far more successful than conventional advertising. As an added benefit, dealerships have access to these vanity domains and they can be used as part of their advertising campaigns. Through a partnership with Cyberlead and SubPrimeAutoLeads.com, your dealership can benefit from increased sales, more exposure, targeted subprime marketing and higher customer retention rates. Visit our websites or call 1-866-311-LEAD today.